Photo: Carlos Rodríguez/Agencia de Noticias ANDES. Creative Commons BY-SA (cropped). 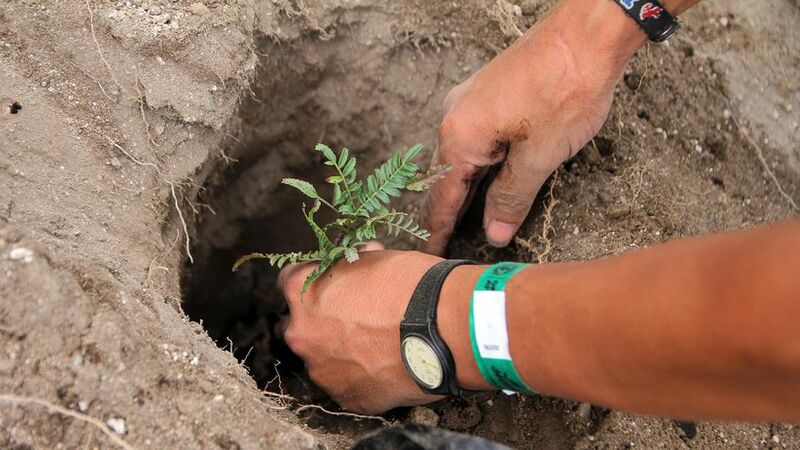 On Saturday, in often sweltering heat, more than 44,000 people in Ecuador reportedly sowed their way into the Guinness Book of World Records by planting 647,250 trees of over 200 species in one day. 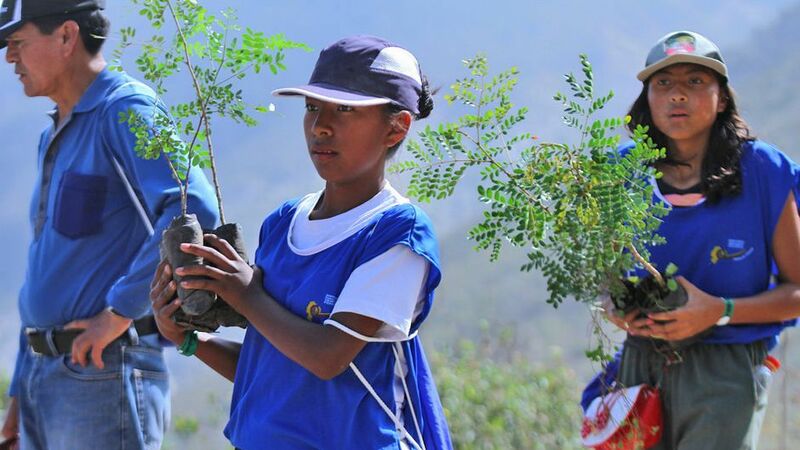 The effort was organized by the Ecuadoran government under an initiative called “Siembratón” (plant-a-thon). 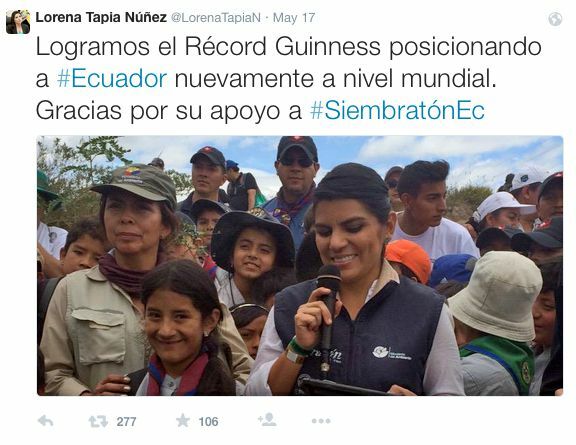 A tweet by Lorena Tapia Núñez announcing the Record and thanking participants. Debate: Paying Ecuador to Leave Oil Underground?